Cross this one off your Christmas list. 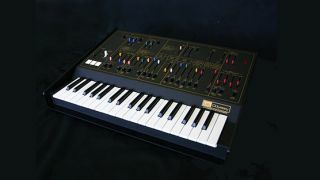 Resurrecting a classic was never going to be easy, so it's perhaps unsurprising that Korg has announced that the release of its ARP Odyssey reissue has been put back to 2015. The synth was originally scheduled to debut this month. No reason has been given for the delay - if you want to take a positive out of the announcement, we guess it's that it confirms that the project is still going ahead. Here's hoping that we'll get a glimpse of the new instrument at the 2015 Winter NAMM Show. In the meantime, why not discover some of the tracks that the original Odyssey was used on and learn more about the synth's architecture and history.